Poetry Out Loud seeks to foster the next generation of literary readers by capitalizing on the latest trends in poetry – recitation and performance. The program builds on the resurgence of poetry as an oral art form, as seen in the slam poetry movement and the immense popularity of rap music among youth. Poetry Out Loud invites the dynamic aspects of slam poetry, spoken word, and theater into the English class. Through Poetry Out Loud, students can master public speaking skills, build self-confidence and learn about their literary heritage. An overview of the Poetry Out Loud program in Arizona. This brochure includes a program description, ideas on how to implement Poetry Out Loud into your classroom, an easy to follow timeline, and award structure for winners at the local and national level. A sample class schedule and lesson plan give teachers an idea of the writing activities and curriculum available. 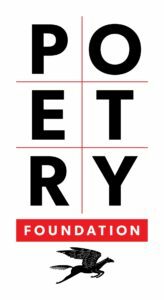 The National Endowment for the Arts and the Poetry Foundation partner with the State Arts Agencies to bring the Poetry Out Loud (POL) program to all 50 states and US territories. In Arizona, Poetry Out Loud (POL), is administered by the Arizona Commission on the Arts in collaboration with POL Regional Partners. Poetry Out Loud uses a pyramid structure that begins at the classroom level. Winners advance to a school-wide competition, then to a regional and/or state competition, and ultimately to the National Finals. The curriculum for POL is designed to fit into a teacher’s busy schedule. The program takes place over the span of two to three weeks, according to each teacher’s interest and agenda, and does not require full class periods during that time. Poetry Out Loud satisfies most of the National Council of Teachers of English Language Arts Standards. In addition to memorizing and performing great poems, students have the opportunity to discuss poetry and – if the teacher wishes to use the supplemental lesson plans – to write poetry of their own. Each winner at the state level receives $200 and an all-expenses paid trip to Washington, DC, (with an adult chaperone) to compete at the National Finals. The state winner’s school receives a $500 stipend for the purchase of poetry books. One runner-up in each state receives $100; his or her school receives $200 for the purchase of poetry books. Visit the National Endowment for the Arts’ official Poetry Out Loud website for more information. To learn out more about Arizona Poetry Out Loud, contact the Arizona Commission on the Arts at 602-771-6502 or by email at afreyermuth@azarts.gov. Due to weather, the Northern Region Competition has been rescheduled with a new date below. Address: 318 W. McCreary Dr. Address: 1508 E Helen St. The For Teachers section of the official Poetry Out Loud website provides program and classroom resources for teachers. Arizona Poetry Out Loud Regional Partners are organizations with strong ties to their local literary and school communities, and are dedicated to creating opportunities for increased student and school involvement in the Poetry Out Loud program. If you are unsure about your school’s region, or would like more information, please contact the Arizona Commission on the Arts at 602-771-6502 or info@azarts.gov. The Poetry Out Loud website offers extensive learning tools, including eligible poetry for the competition, classroom ideas and teacher resources, and specific information about evaluation criteria. It also contains a highly-useful audio guide that includes excerpts of famous actors and poets reciting poetry, a great way to learn about dramatic appropriateness and articulation. The Poems and Performance section of the Poetry Out Loud website provides access to the online anthology and other resources for students. Join Poetry Out Loud on Facebook. Journals, Books and Websites (61 KB PDF) – Explore more poetry through these web-based poetry resources, print and electronic journals, books and more. The 2018 Arizona Poetry Out Loud State Finals were held in the downtown Phoenix studios of Arizona PBS. The 2017 Arizona Poetry Out Loud State Finals returned to the downtown Phoenix studios of Arizona PBS. The 2016 Arizona Poetry Out Loud State Finals returned to the downtown Phoenix studios of Arizona PBS. The 2015 Arizona State Finals were held at the Herberger Theater Center. The 2014 Arizona State Finals were hosted by the University of Arizona Poetry Center and held at the Tucson Festival of Books. The 2013 Arizona State Finals were sponsored by ON Media Publications, hosted by Tania Katan and held at Eight, Arizona PBS and filmed for later broadcast. The 2012 Arizona State Finals were held at the Phoenix Center for the Arts and hosted by Chief Justice Rebecca White Berch. The 2011 Arizona State Finals were hosted by Eight, Arizona PBS and filmed for later broadcast. For a complete history, images and other Arizona Poetry Out Loud promotional materials, please contact the Arizona Commission on the Arts at 602-771-6502 or by email at info@azarts.gov.